It goes without saying that your business is hugely important to you, and what’s equally important is how well it performs. After all, this is a direct reflection of how you work and how you can drive your company to success using honed skills, knowledge, and expertise. In other words, your business is an extension of yourself and your ability to get things done to a high standard. There’s no definitive handbook for being successful in business, so you must learn from the best in the field, use your intuition and informed judgment, and use effective, streamlined processes to power your company. Streamlining involves making sure that your business is impeccably efficient and makes as few mistakes as possible. Although you can expect hiccups here and there, avoiding time and wasting money is absolutely crucial. Internet sales have soared in recent years, and don’t look set to stop anytime soon. 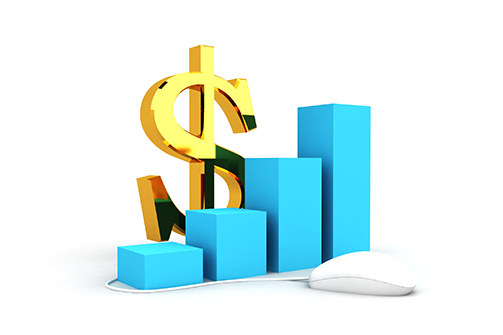 Learning how best to harness e-commerce sales is going to help your business tenfold. Electronic customer service has to be second to none if you’re going to impress customers and keep them continuing to interact and purchase from your company. E-commerce expansion is a process that you cannot afford not to perfect, so get it working for you as soon as you can. You must continue to work through your ecommerce fulfillment and ensure that order management, inventory systems, and shipping rates stay well serviced and competitive. Mismanagement, where products and delivery are concerned, could see your profits dwindle, so ensure that this process is streamlined. Streamlining doesn’t come about without some expertise and experience. Instead, streamlined processes are the result of consistent engagement and striving for success. You must constantly be on the lookout for new ways of how you can improve how each business process works and to review it often. Try to be reading business articles and advice columns wherever you can as many discuss up-and-coming technology and services that can help your business expand. Always strive to attend lectures and talks about how businesses have started and the methods behind building their success. Strive to engage with like-minded people and those in the same business as you. In order to be the best, you must learn from the best, so ask questions where afforded the opportunity and don’t be afraid to inquire into how others have got to be where they are. Your role as a manager is extremely important because you’re leading a team. This team looks to you for support, encouragement, clarification, inspiration, advice and much more. Your management skills do have to be honed and focused on business growth and development if you’re going to drive the business to prosperity and progression. It’s no easy feat being a manager, but with engaged focus and know how, you can lead a team towards success, and of course, profit. Good management skills come with practice and experience however if you’re new to leading a team, then you can learn how to better your communication skills through learning programs. The management team is the glue that helps to hold a company together, so it must be strong, capable and ready to take on the challenges associated with the business. Ensure that all of your business processes are helping your company to move forward. You can’t always implement ones that work perfectly straight off the bat, so keep an eye on them and make sure they’re helping your progress. If you expect perfection straight away, then you’re going to be disappointed. You need to strive for continued progress and excellence to enhance your business rather than to focus on being perfect. Help your company grow by continuing to build upwards and learning from how you got there. You’re going to need some feedback on how well your processes are operating if you’re going to be able to continue to grow and jump from strength to strength. It’s not always reasonable to introduce a new process and expect it to work perfectly from the first minute, so it’s vital that you track its progress and find out how it’s doing. If you’re introducing a process that you don’t work with, then you will have to ask those who use it for their thoughts and opinions. In order to understand if something is working the way it needs to, then you will have to question those who experience its strengths and weaknesses on a daily basis. You need clients and customers for a business to work, and you’ll find that you’re focused on attracting new customers and boosting sales in the market. As crucial as doing this is, you mustn’t lose track of your current customers. It’s important that you maintain a good relationship with the customers you already have by continuing to engage them. Customers like to know that they’re highly valued and appreciated, so with this in mind, don’t shirk on your responsibility of letting them know how important and fundamental their custom has been in helping your business to grow. Consider inviting customers to join an emailing list and from here, keep them updated of company announcements and news. Modern businesses use technology to help them make processes quicker and more efficient. Using the best technology isn’t always an option when you’re starting out. However, you must try and purchase new technology and update old-fashioned or slow working ones as you begin to progress. In order to prepare for business growth, you will need to know all you can about optimizing profit and limiting time and money wastage. If you’re to make the biggest profit you can; then you have to make sure that your tech is moving with the times and fulfilling the most arduous tasks for you. Once such way of doing exactly this is to invest in cloud-based technology. Doing so could help you save both time and money, and its capabilities are well worth looking into for your business needs.